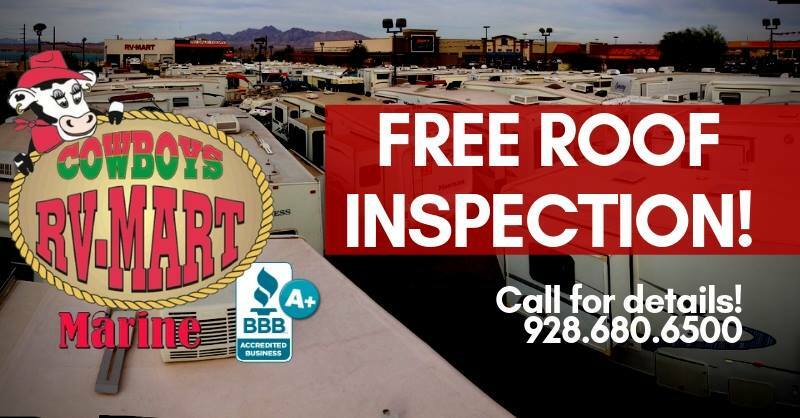 has served Lake Havasu City for over 33 years and is rated A+ with the AZ BBB, so you know you're in good hands with our experienced sales and service staff. We'll treat you like family! 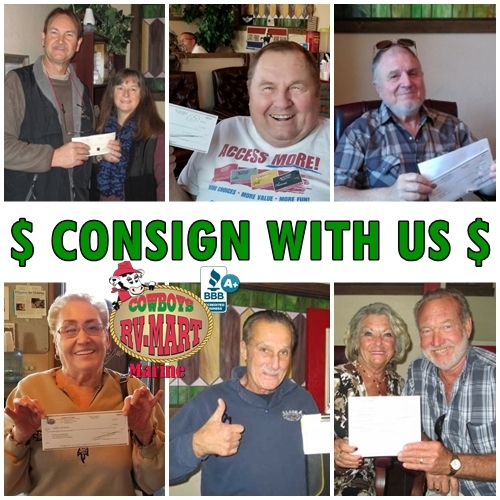 Thousands of happy local, return, and sight-unseen Customers can't be wrong! 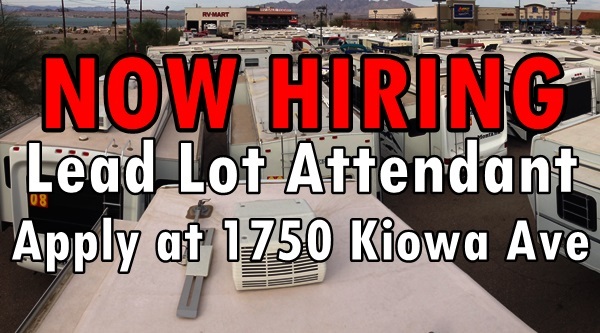 Swing by today to learn how YOU can go home with a nice pre-owned RV! 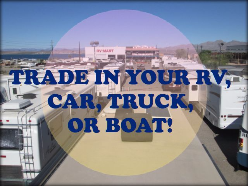 We take trade-ins and offer FREE consignment! YEEHA! If it's Parts you're hanker'n, then our Parts Department has everything you'll need. If someone just ran off with our last widget, no problem, we can order another one and have it here within a day or two. 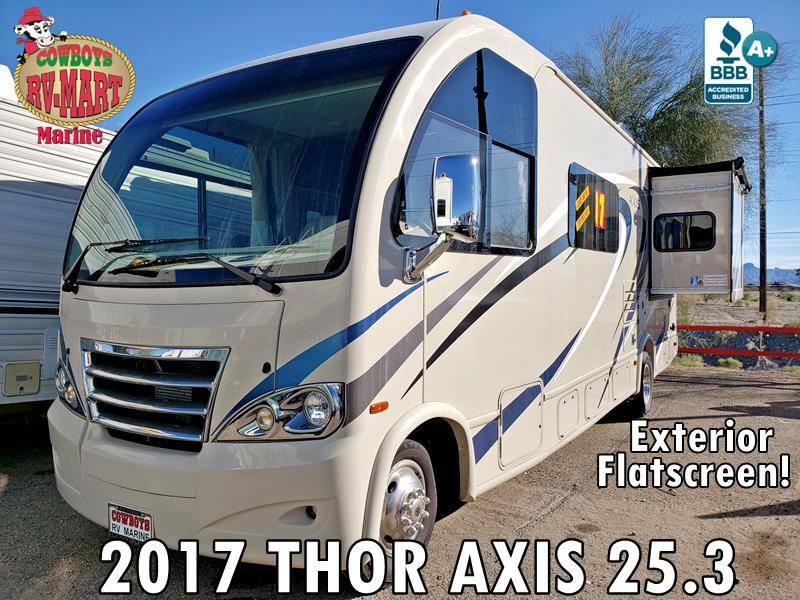 Consign your Motorhome, Fifth wheel, Travel Trailer, Boat, or Truck with us FREE OF CHARGE, and we'll even drive you to the Las Vegas Airport! Your cost = FREE! In a tough Economy Cowboys is the only consignment choice! 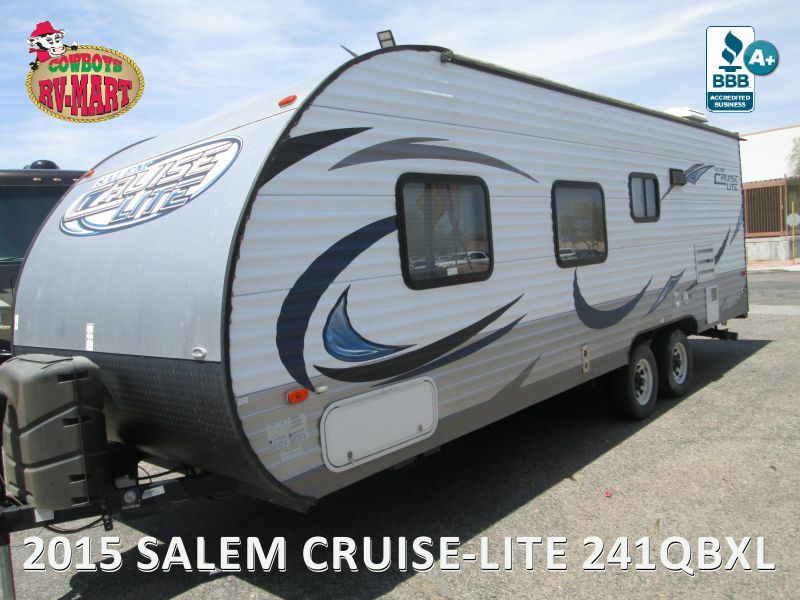 Yes, Yes, My RV was sold quick and I have the check! A friend recommended Cowboys for a highly professional and quick sale! 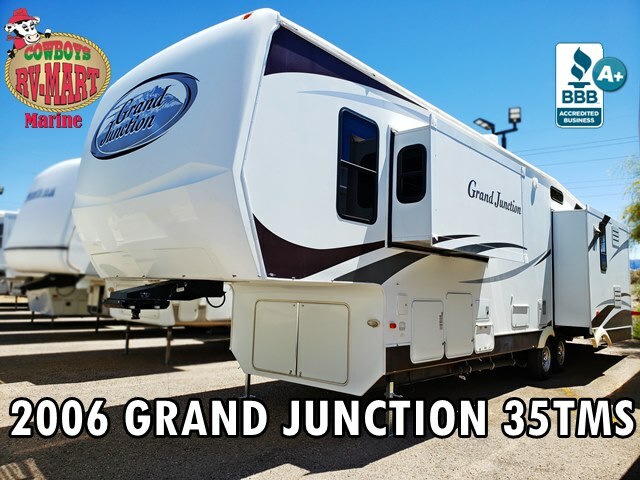 "We had our 5th wheel parked at another dealership in town for over 4 months and it didn't sell! We waited and waited. 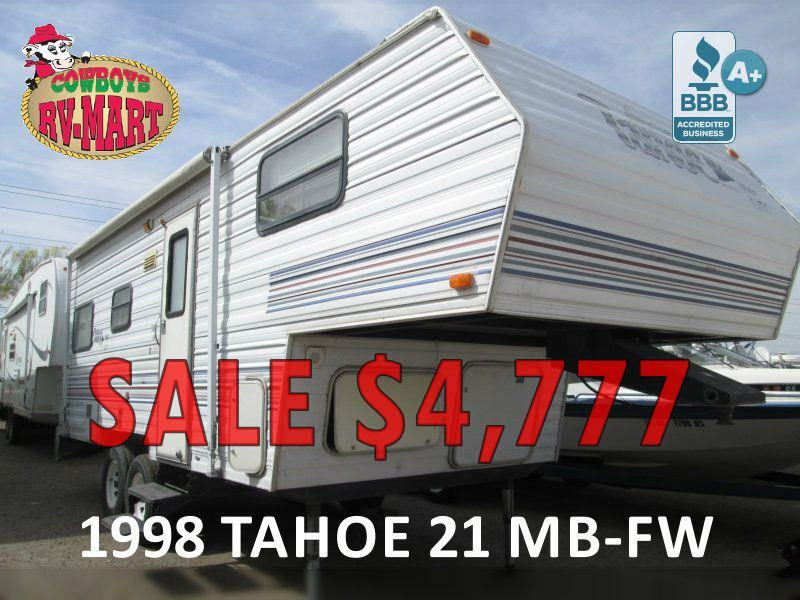 THEN WE MOVED IT TO COWBOYS RV MART AND IN 6 DAYS IT WAS SOLD!!! 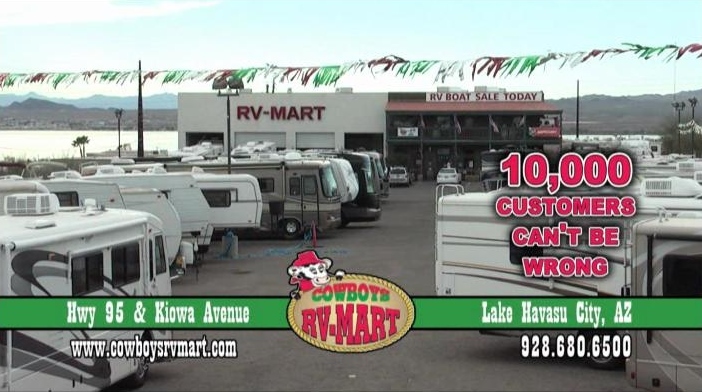 Cowboys RV Mart sold our vehicle in 3 days. 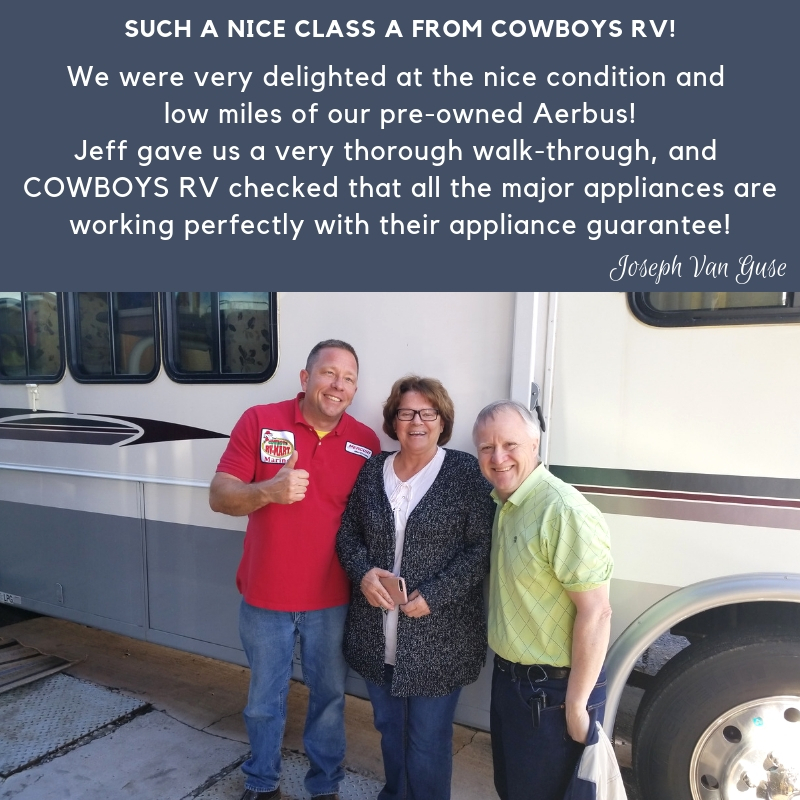 We received full price with no excuses...We got results Wow... what a great experience dealing with honest, experienced, family owned and operated. Visit us at 1750 Kiowa Ave.
at the Intersection of Kiowa Ave; Look for our big LED sign! 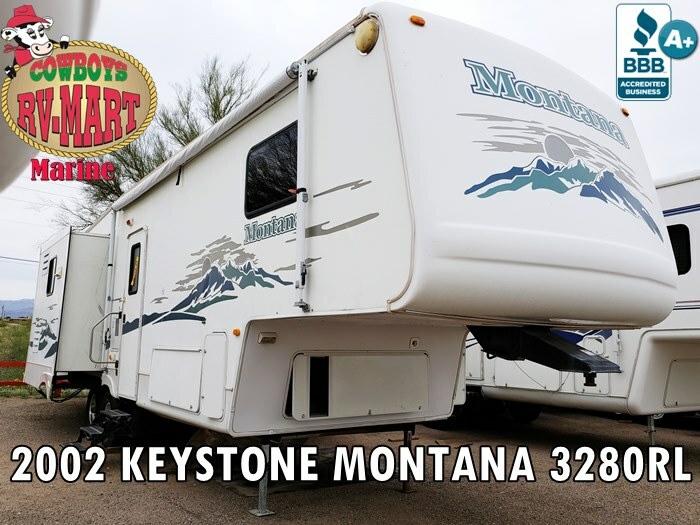 Is your RV breaking down? 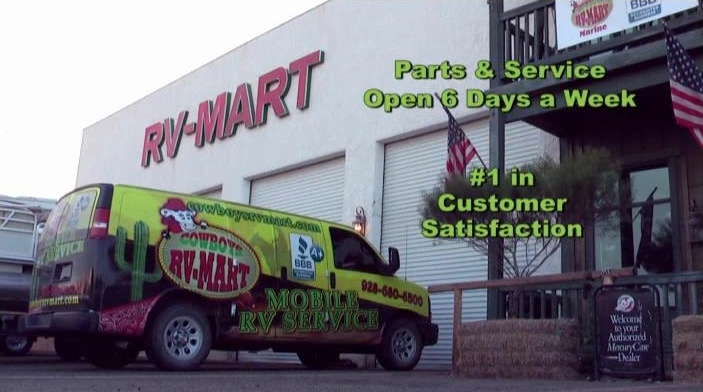 Do you need a good mechanic that fixes RVs? Our A+ Rated service staff is ready to assist!